Water has always been a central part of Lisa’s life. She first discovered the underwater world through scuba and has travelled extensively for diving. Following a catastrophic injury, she narrowly avoided paraplegia and has had a long road of recovery learning to reconnect with her body. A few years after her accident, she decided to try freediving during a trip to Bali. She loves the freedom and challenge the sport brings as well as the mind-body connection it requires. She began training with the SA Freedivers in 2016. Prior to her spinal injury she was a project manager and business improvement consultant specialising in change management. She is now following her passions, studying to become a personal trainer, and hopes to help others rehabilitate from injuries to regain their strength and independence. Maria had little opportunity for aquatic sports when growing up in Siberia, and learned to swim in 2016 soon after moving to Australia. She began finswimming and freediving soon after, with a focus on dynamic due to her affinity with the monofin. Her attraction to the sport comes from the high levels of mindfulness required, the ability to explore and create new horizons of the body’s limits, and how the sport encourages one to compete only with themselves. Professionally, Maria has a degree in statistics, and worked in finance for five years in Russia before commencing a Masters in mathematics. She recently moved to Australia to undertake a PhD in mathematics, which she is currently completing at the University of Queensland where she also works as a tutor in the School of Mathematics and Physics. Growing up in New Zealand’s Bay of Plenty, Scott has always been close to the ocean. His initial interest in freediving grew from off-season training for spearfishing into an interest in its own right. Now based in Melbourne, Scott is involved in a number of apnea sports including freediving, spearfishing and underwater rugby. A founding member of Melbourne Freedivers, out of the water Scott is a research scientist working in drug discovery for oncology. Jody has always had a passion for aquatic sports and began freediving in 2010. 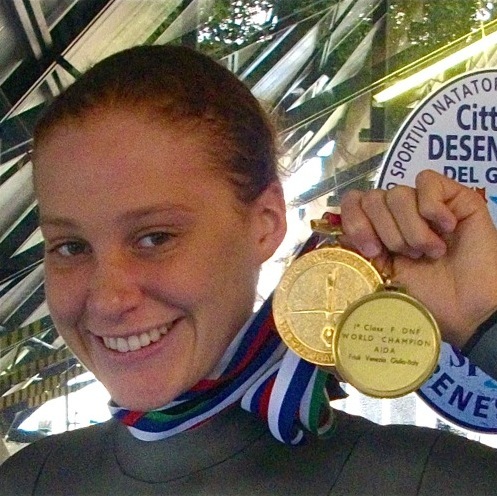 A 15-time national record holder, she is the sole Australian to hold a world title in freediving. Following a Masters from the University of Adelaide, she was a recipient of the Faculty (Science) prize and a University Medal at Flinders University, where she is undertaking a PhD in mathematics and biophysics, holding multiple fellowships. In 2018, she was a visiting Fulbright Scholar in the laboratory of world renowned physicist Albert-László Barabási. Jody is currently collaborating with academics from UniSA and the Karolinska Institutet/Stanford University on a study about underwater sports. She is the President of SA Freedivers and has had involvement in international technical committees for freediving regulations since 2014. Gavin has had an affinity with the ocean from an early age. A scuba diver for 15 years, he started freediving in 2012. Since then he has furthered his education and training and is now an Apnea International Instructor. He has competed in both depth and pool competitions as well as being a safety diver for multiple pool competitions. He is the co founder and current President of the Goldy Freediving Club on the Gold Coast. He is also an avid spearfisherman. Growing up next to the Indian Ocean, Samson has had a lifelong connection with the sub-aquatic world. With post-graduate qualifications in sustainable development, Samson brings his experience in risk management and regulation to the AFA through his work as an environmental toxicologist for the government. 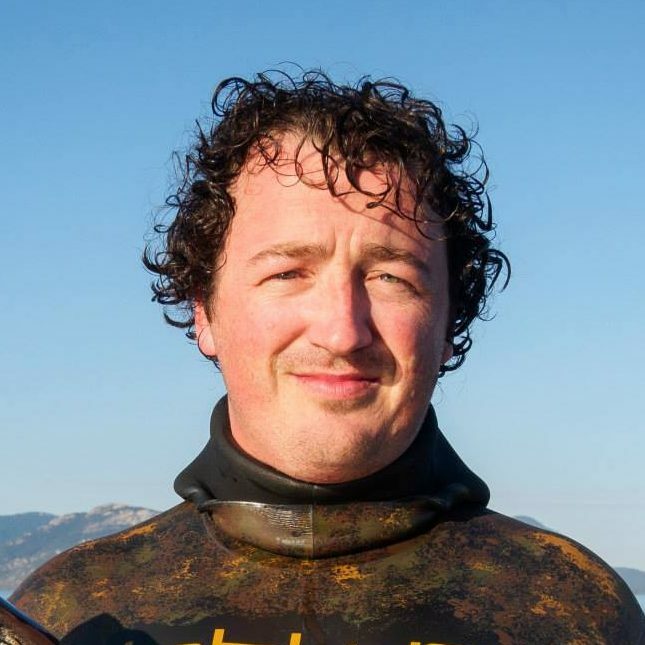 For Samson, freediving has become a holistic lifestyle as a combination of work and pleasure, and he is now a full time professional freediving instructor. 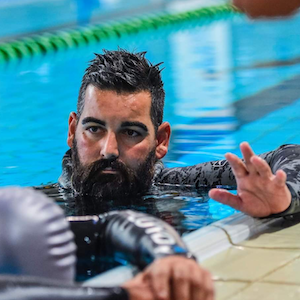 Having spent time in the Australian Army, he has a keen interest in researching the applicability of freediving as a stress management tool for military veterans. Samson is currently studying to qualify as an expedition paramedic in order to run workshops and retreats. 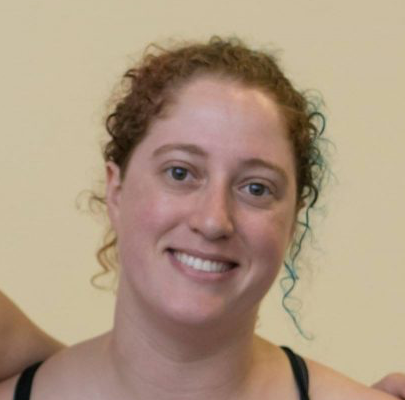 Dayna has been freediving for several years, and enjoys the combination of physical strength and mental discipline required to perform in the sport. She also enjoys all things relating to surf and community development, and trained as a surf lifesaver with Tamarama Surf Lifesaving Club (one of Australia’s most hazardous beaches) in 2015. 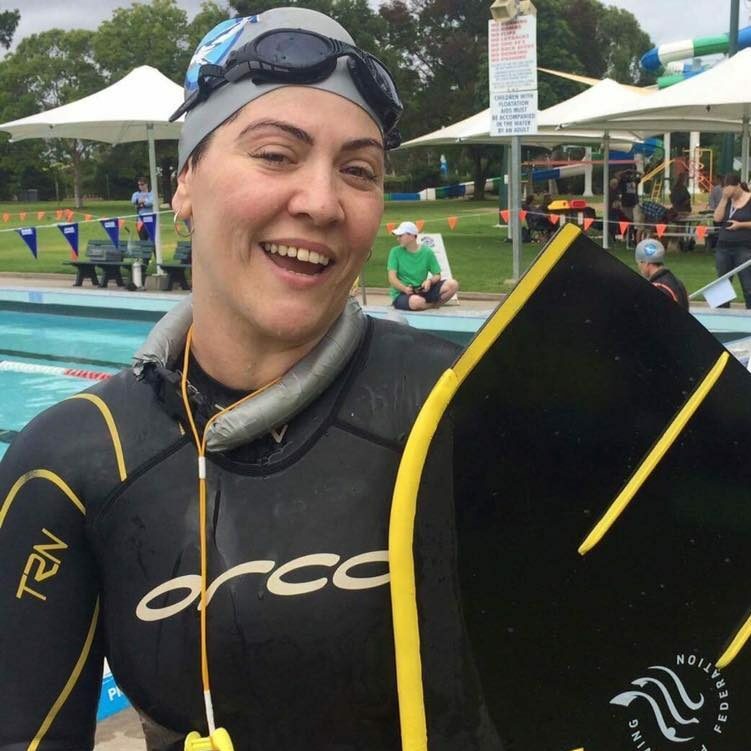 She now is a patrolling member of Henley Surf Lifesaving Club (in the Adelaide Metro region), and is involved in a range of community development initiatives, such as their Special Nippers program. Dayna’s professional career spans over 14 years of work in a variety of community service settings and is currently a youth worker for students in vocational education.